I have a confession to make! 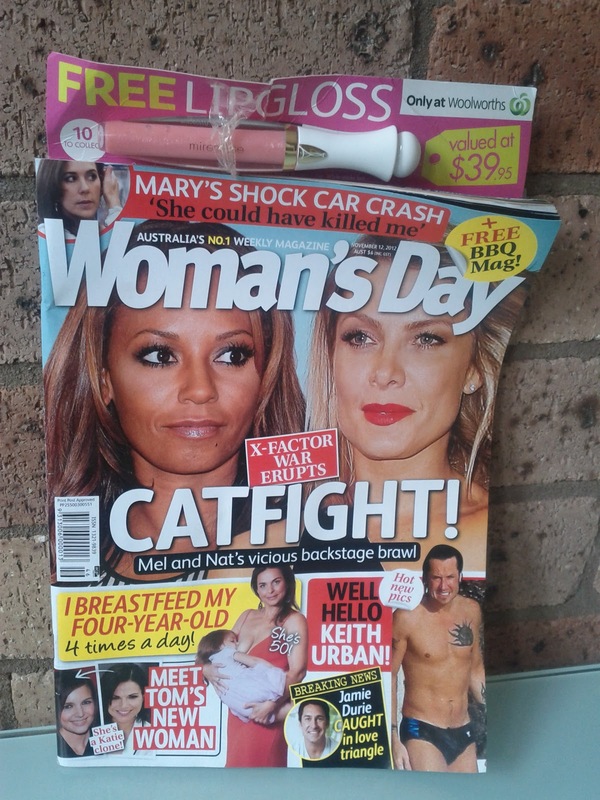 I'm the girl that secretly gets excited every Monday morning and checks out both Coles and Woolworths for the weeks new magazines. Nope, it's not to find out about who's broken up/made up/knocked up, but what GWPs are available!! And this one is really exciting! 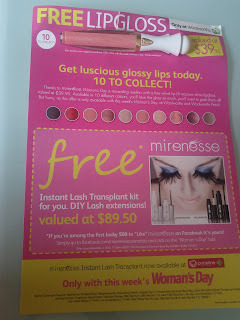 Mirenesse are back with their Woman's Day GWP. This week (only at Woolworths) you get a free Velvet Lip Lift Moisture Shine. 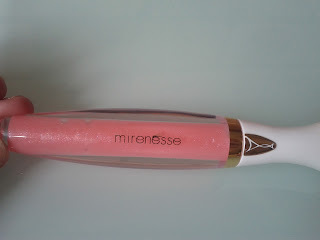 These lipglosses are amazing! Normally a Mirenesse lip gloss would set you back $39.95, but with Woman's Day you get it for only $4.00!!! You can get ALL 10 for the price 1 would normally cost. If that's not a bargain, then I don't know what is! There are 10 colours to choose from. But get in quick! I picked number 48, which is a gorgeous sparkly baby pink. Also if you are one of their first 500 new "likes" on their Facebook page, you get a free Instant Lash Transplant Kit. This looks fantastic, I will definitely be checking it out, and hope my local store has a decent range of colours to choose from! Mirenesse always do great freebies, especially with Woman's Day. I've picked up a few of their lipglosses, and even a mascara. Thank you so much for letting me know :) I have to go grocery shopping tonight so I will be picking up a couple of colours for sure! Just saw your post! I love that you got so many hehehehe. Thanks for the post. I am tempted to go get one (or two) now!! Looks like a great offer :) hope that red is the red velvet. Unfortunately won't get out of the house till my exam on Thursday *hopes Southern Cross has it*. Hopefully there are some left in the colours you love :) Goodluck! Damn I have been into Coles and newsagencys over the last few days looking for this but could not find! Now I reread your post and see that it's only at Safeway - makes sense!!! Better drop by later and see if I can nab any! !